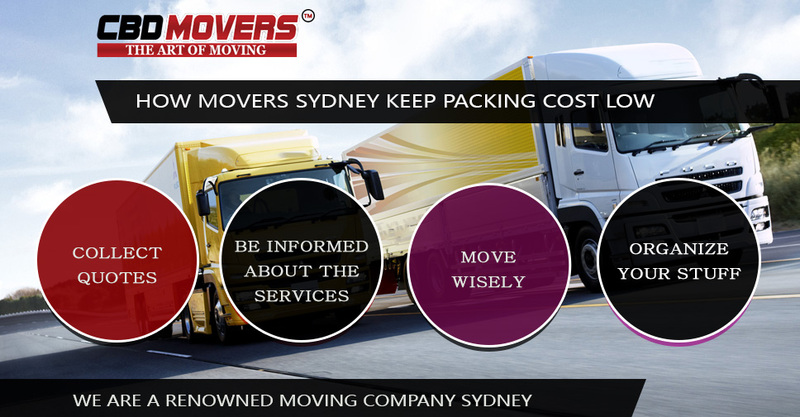 How Moving Companies in Sydney Keep Packing Cost Low? The idea of Sydney relocation is inviting and tempting. The mesmerizing city is undoubtedly the most populous city in Australia. But despite all the ‘BIG’ things Sydney has in store, there are certain things that are always preferred to remain low and well-managed when it comes to relocation. And moving cost is certainly one of those. Understandably, with the cost of packing supplies varying drastically, it gets difficult to move within budget. But, prudent and potent packing practices can make all the difference. Collect Quotes: Contact different service providers and collect quotes for the removal task. While some movers Sydney will charge on per hour basis, others will quote for complete tasks. Depending upon your need, figure out which method works best for you. Be Informed About the Services: Once you obtain the quote, be sure of all its components. Is the cost of packing materials included? Is the cost of labor included? Will dismantling and reassembling be a part of the job? Will they take up coding and labeling part? The all-inclusive quote with no hidden extras is the best. Move wisely: A removal should not be a rushed affair. Rather give yourself enough time to plan and map your move. Try to move during the removal season. Though the offseason move may appear cheaper, the availability of movers and permissions result in delays that may cost heavily. So, book your move in advance to negotiate the rates well. Organize your stuff and reduce the rush: It is hard fact that we possess more things than what we actually use. Fortunately, removal is a time to organize self. Discard or donate items you are least likely to use. This will save you unnecessary expenditure on packing and moving useless belongings. It cuts down effort and time for unpacking and reduces your new home from unwanted clutter. At CBD Movers, we are a renowned moving company in Sydney. With best techniques and removal gear, we use the most appropriate quality and quantity of packing supplies. Thus, reduce unnecessary wastage of time, effort and money. Our moving company in Sydney is registered and fully certified to move locally and interstate. Get in touch for details and customized deals.